Northampton prop Jamal Ford-Robinson will join Gloucester this summer. 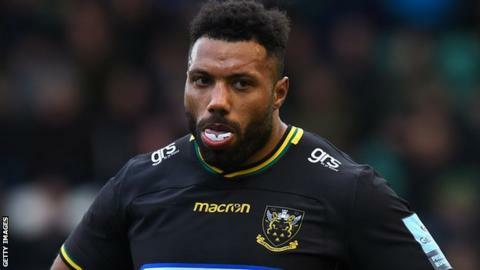 The 25-year-old, who can play on both sides of the front row, moved to Franklin's Gardens from Bristol at the start of last season, having previously played for Cornish Pirates. He played 21 times for Saints in 2017-18, but injuries have restricted him to just two appearances this term. "His arrival will complement our existing front row forwards," said Gloucester boss David Humphreys. "He's a proven force at Premiership level and has been involved with the England set-up in the past. "As well as being strong in the set-piece, he's also mobile and good with ball in hand which will suit the way we like to play the game." Gloucester have not disclosed the length of Ford-Robinson's contract at Kingsholm.